Held in Sydney, Australia from Aug. 22 to 24, Integrate Expo Sydney2018 is Australia's premier annual AV and Integration trade show. Celebrating it's tenth anniversary, this three-day event is a hub of activity for local and global brands to showcase solutions and products to AV technicians and corporate end users, meet with buyers, integrators and distributors, and share the latest industry developments. As a professional video delivery solutions providers, Wellav joined the trade show to promote company’s high-quality products and advanced technology. 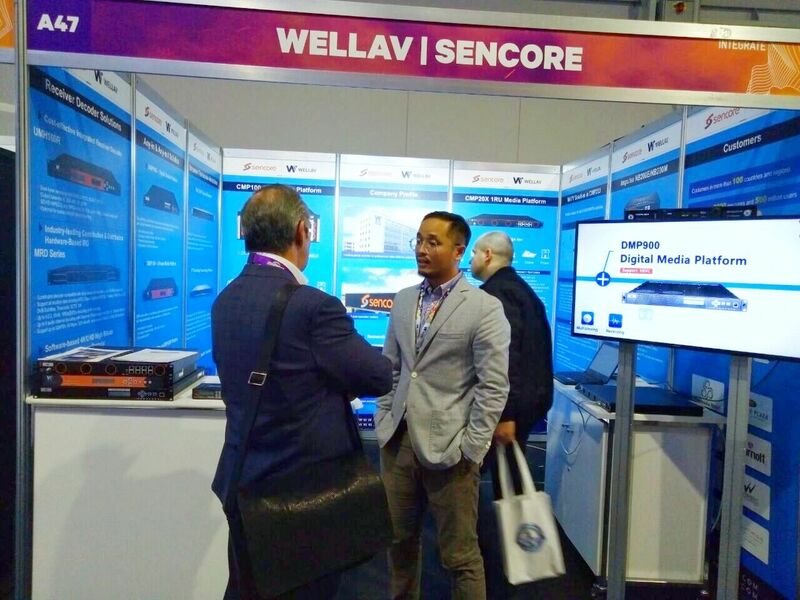 During the show, Wellav brought the latest industry-leading solution for broadcasters, system integrators and commercial users. As the latest design products, CMP series products and IPTV solution provide the client user-friendly GUI, a variety of interfaces, massive capacity, and powerful processing capability, which have attracted a lot of customers. In the meantime, on Wellav’s booth, our customer can also find cost-effective point to point video transmission solution, tier 1 class industry leading satellite modulator solution, upgraded MPEG/IP streaming media solution, contribution/distribution IRDs. All these solutions can help them to reduce TCO, OPEX, and give a better user experience to their clients. Through Integrate, Wellav harvested a lot. We got a better understanding of the Oceania market, which will help us optimize our product lines and provide better service to our customers in Australia, New Zealand, and south pacific island countries. What’s more, with new cooperation partnership established in AUS and NZL market, we believe that Wellav’s brand popularity will be highly improve , as well as the share on IPTV/MATV market . ©2004-2019 Wellav Technologies Ltd. All rights reserved.